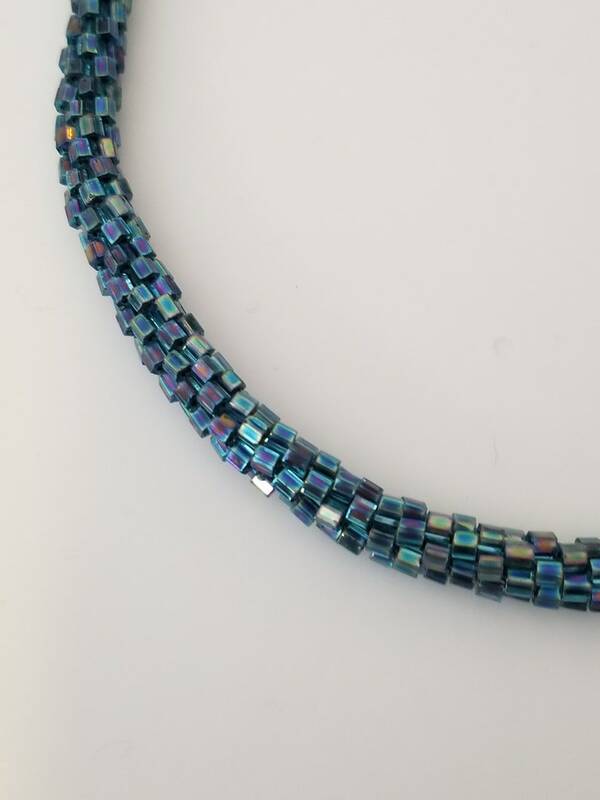 This pretty necklace was created with bead crochet. Silver toned chain was added along with two silver toned bead caps. The clasp is a ball and socket clasp. Approximately 20 1/2 inches long.